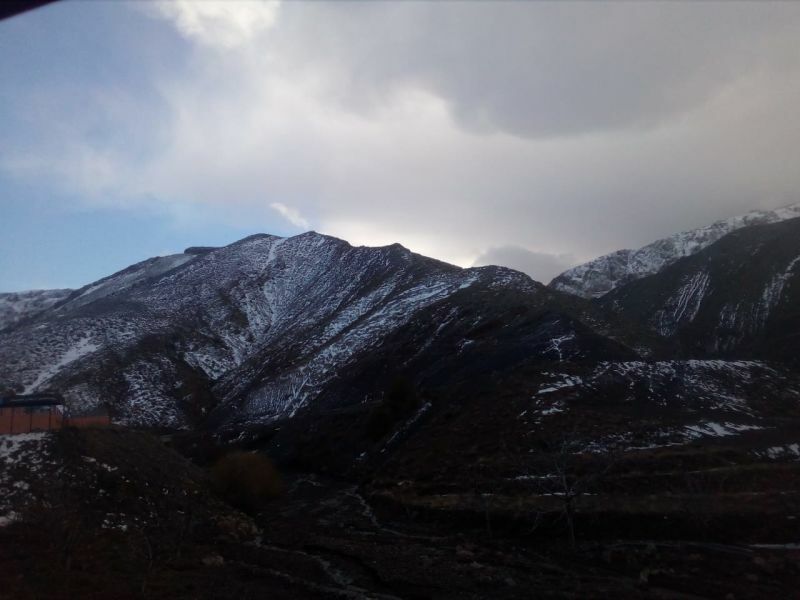 Cross the Atlas Mountains and Tizi Ntichka. 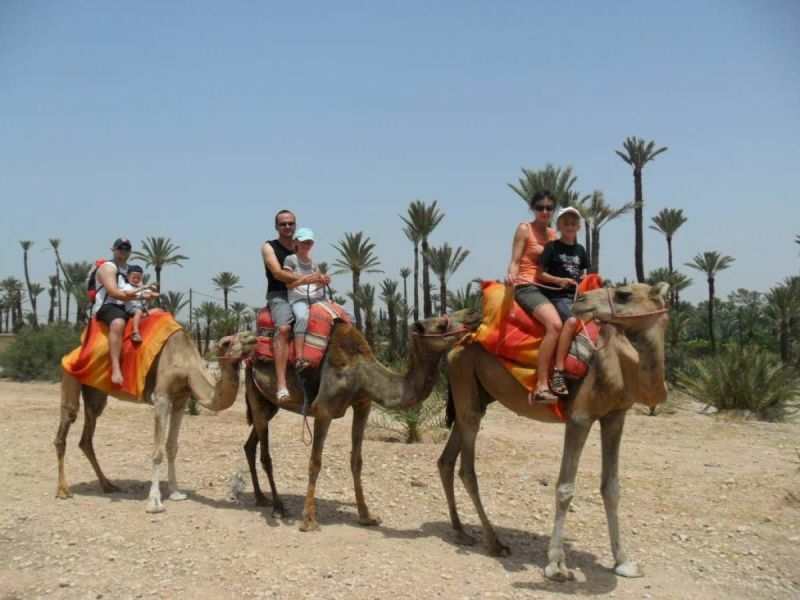 Our Marrakech to Fes desert tour will start the early morning at around 8:00. 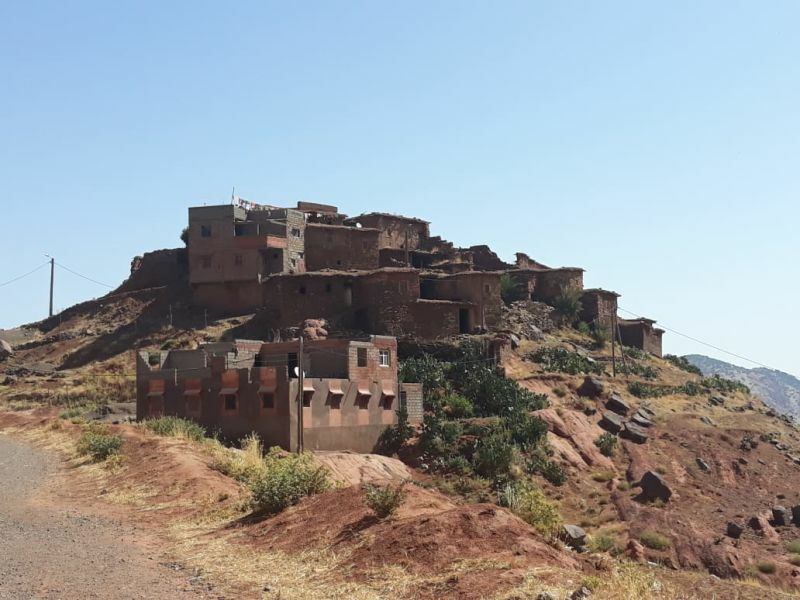 We will leave Marrakech and drive towards Ait Ben Haddou village. To reach Ait Ben Haddou village, we will have to cross the mountain pass Tizi n’Tichka pass. 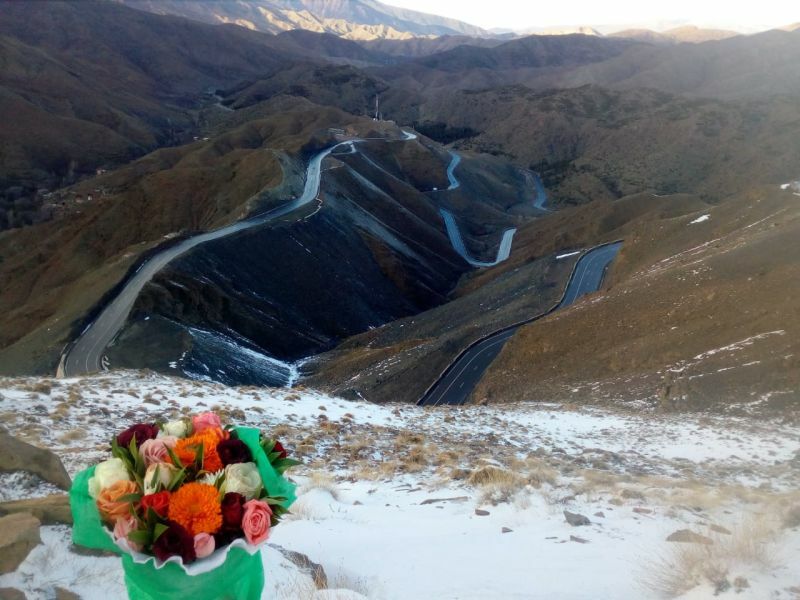 It’s the highest mountain pass in Morocco (2260 meters altitude). Once we arrive at the village of Ait Ben Haddou, we will enjoy visiting its famous mud buildings called Kasbahs. These Kasbahs, with their distinctive architecture, are considered a concrete example of a traditional residence in southern Morocco. 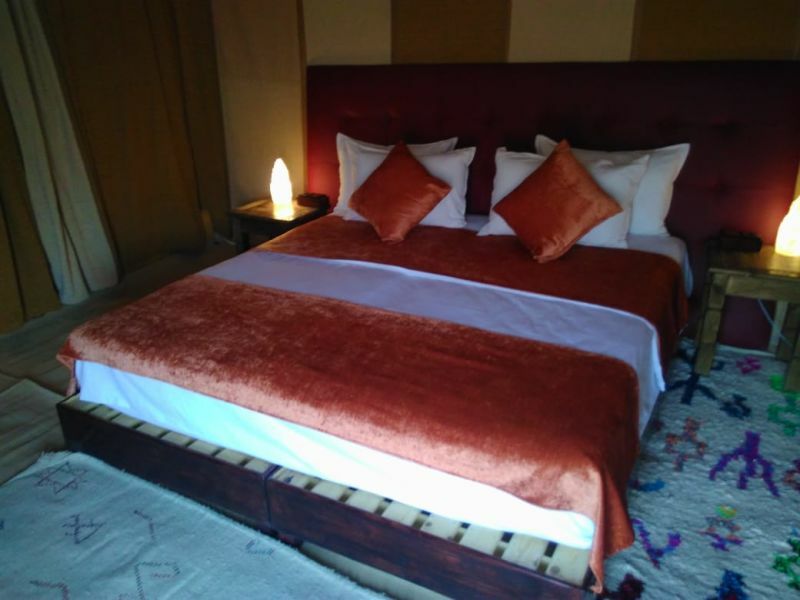 Thereafter, we will continue our exciting trip by driving towards Hollywood of Africa, Ouarzazate city which is considered the door of the Sahara desert. Ouarzazate city contains a lot of tourist attractions that, of course, we will visit some of them. One of the famous places, that everyone should visit when he comes to Ouarzazate, is Film studios where we can find international companies in the cinema sector. Another attraction, that we should not miss visiting in Ouarzazate, is the Kasbah of Taourirt. After we finish from visiting Ouarzazate, we will take the road towards Kalaat M’Gouna that is located 40 km from Ouarzazate. 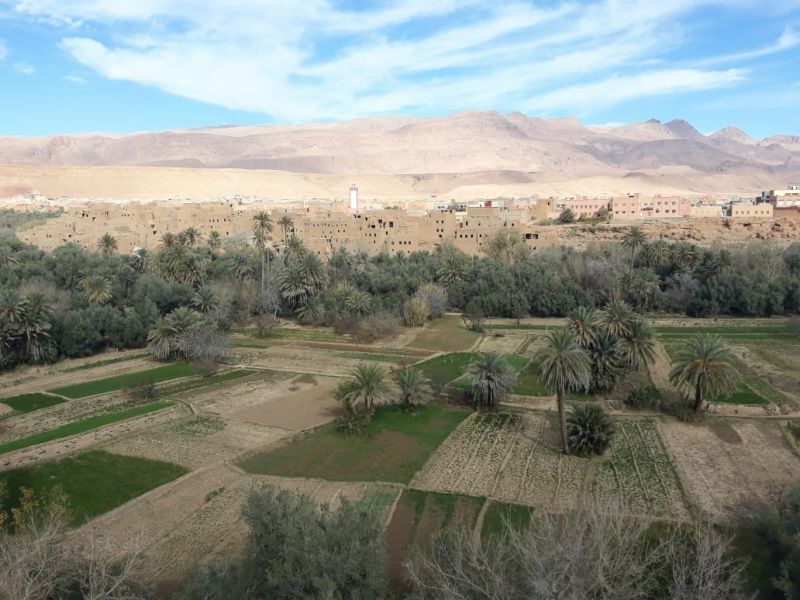 During that, we will pass by Skoura which is one of the most beautiful palm groves in Morocco thanks to its breathtaking landscapes and its archaeological kasbahs. 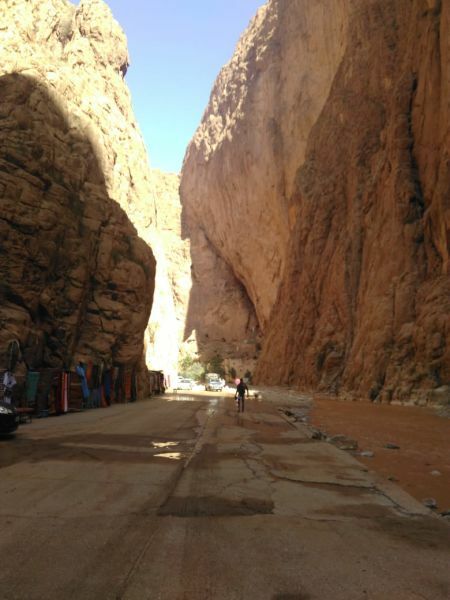 After Kalaat M’Gouna, it comes Dades Gorge where will spend the first night of our desert tour to Fes. Our night will be in a half board typical berbere Hostel. In the second day of our 3 days from Marrakech to Fes, we will travel to Todgha Gorge once we take our delicious and energetic breakfast. 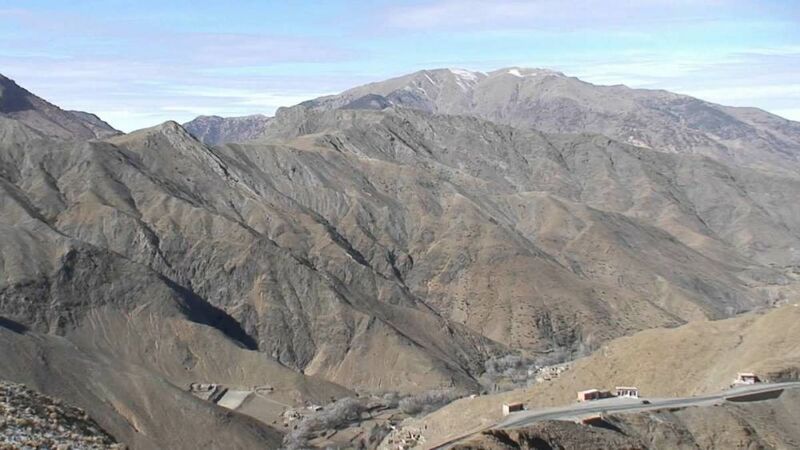 Todgha Gorge is located in high Atlas and is highly frequented by climbers due to its walls that can be up to 300 meters and it contains à lot of palm trees. All these advantages make from it a very attractive tourist destination in southern Morocco. After taking our lunch in a typical restaurant in Todgha Gorge, the next station is Merzouga within the dunes of Erg Chebbi. But before reaching Merzouga, we will pass by many desert villages where we will admire the nomad life and discover the culture of their inhabitants until we arrive at the little city of Rissani. 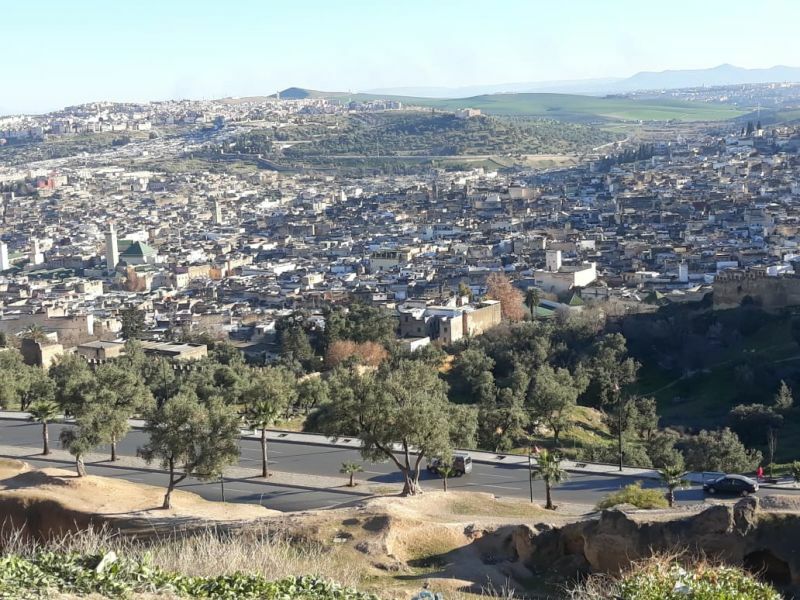 The main activity in Rissani is the agriculture but this activity began to decline significantly due to the harsh natural conditions and drought years. After Rissani, we will continue our road towards Merzouga. During that, we will enjoy the landscapes and the rocky terrain. 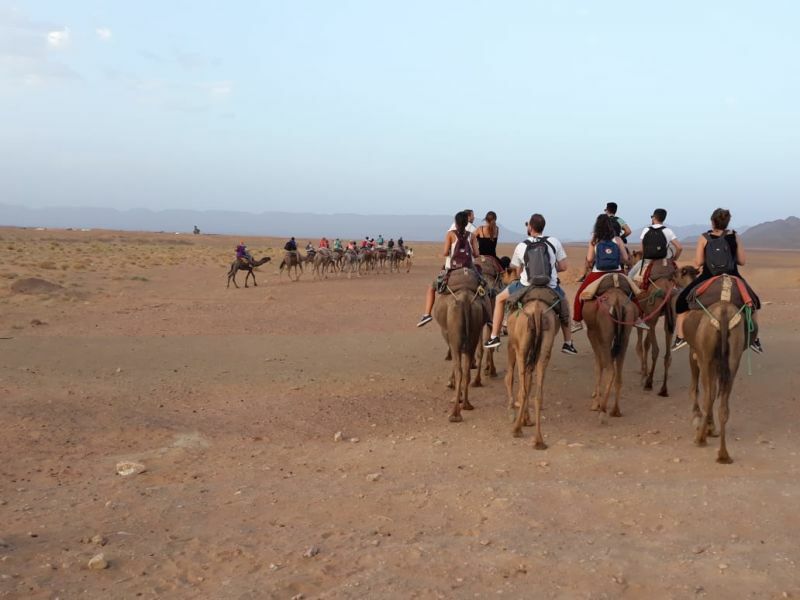 In Merzouga and after deposing our bags at the hotel, we will be invited to take a camel ride during the sunset. 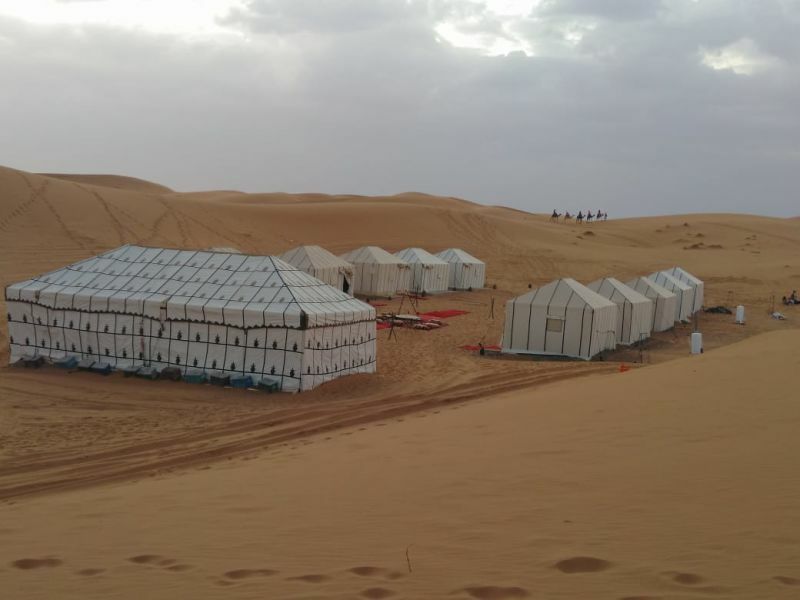 Thereafter, we return to our desert camp and enjoy amazing moments with local inhabitants and spend our night in our typical desert tents. A camel trek before sunrise will be our first thing to do on the last day of our desert trip. Thereafter, we will take our breakfast then pack our bags and take the road to Merzouga. The trip from Merzouga to Fes will be full of surprises and unforgettable memories. 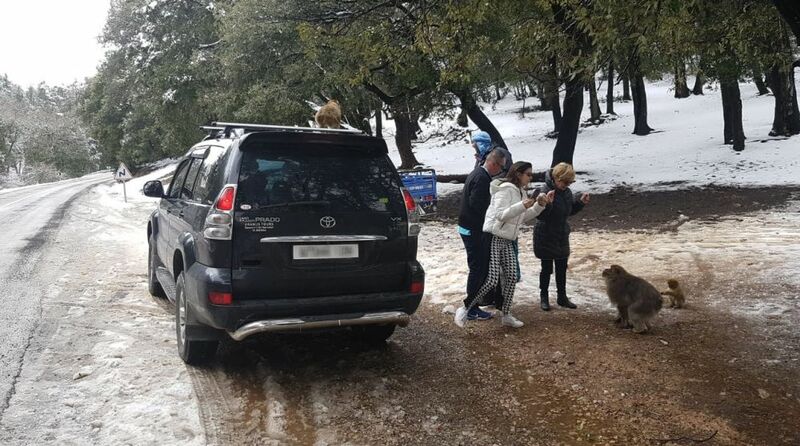 During our way from Merzouga to Fes, we will pass by the High Atlas and then by the Middle Atlas which is a region where we will see wild animals such as monkeys and horses. We will also pass through several other cities such as Arfoud, Rachidia, Midelt, Azrou and then Ifrane. Each city has its own specifications and tourist attractions that we can’t fully cover in only one day. The main cities, we will visit, are Azrou and Ifrane. Azrou contains a lot of breathtaking landscapes and it’s located only 19Km from Ifrane which is the cleanest city in Morocco and that’s why it’s called “little Switzerland”. The people there are very friendly and do not hesitate to invite visitors for a cup of tea. Just after Ifrane, it comes Fes, our last station where we will say goodbye and wish you the best of luck. This 3 days tour from Marrakech to Fes is bidirectional, that means that it can be from Marrakech to Fes or from Fes to Marrakech!